Mishka just dropped their Summer 2012 wares, and they’re all pretty awesome. 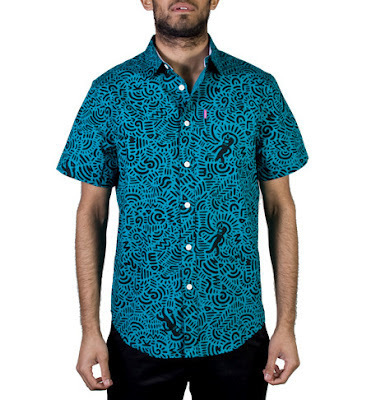 One of my favorite new items is this Keith Haring-esque pattern short sleeve poplin button-down. It’s available in teal and white, and looks like the perfect attire for a summer bbq.